As usual, I’m obsessing about the weather for Saturday’s Ramble. I want my guests to have a good time. Compared to a couple of days ago, the chance of rain in the long range forecast has been reduced from 50-60% to 20%. So that’s encouraging. Also, it’s much better than last year’s situation that included muddy, messy roads before the event. I have to admit the weather obsession has been contagious. I’m sending positive vibes for the forecast your way! Have a great ride, sorry I can’t make it. Thanks, all. I still think that, in some ways, this might be the best Ramble yet. Does Greenwood or Rosston have Hot Chocolate? 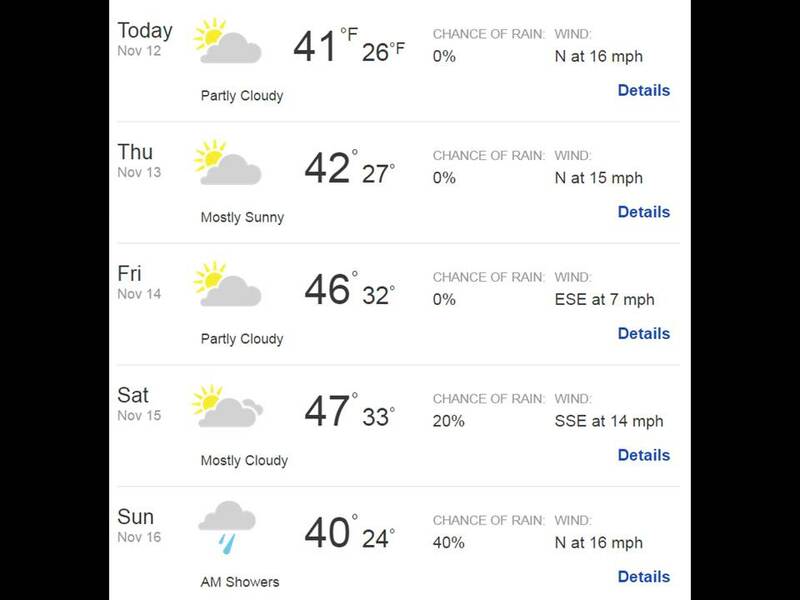 Current Weather forecast – High of 51 with only 10% rain chance. Yes! Getting better by the moment! Hi I was directed to your ride via Eric Welborn, I would like to join you guys and I live in Denton Tx. Could you give me directions to your place? Hi, Ben, love to have you. If you send me an email (cj dot spinner at gmail dot com), I’ll get back to you. Great day on the bike yesterday. Today 24F. Brrr! Sunday evening/night accumulating snow. I’ll miss you guys (gals?). I hope you all have a great Ramble!!! !